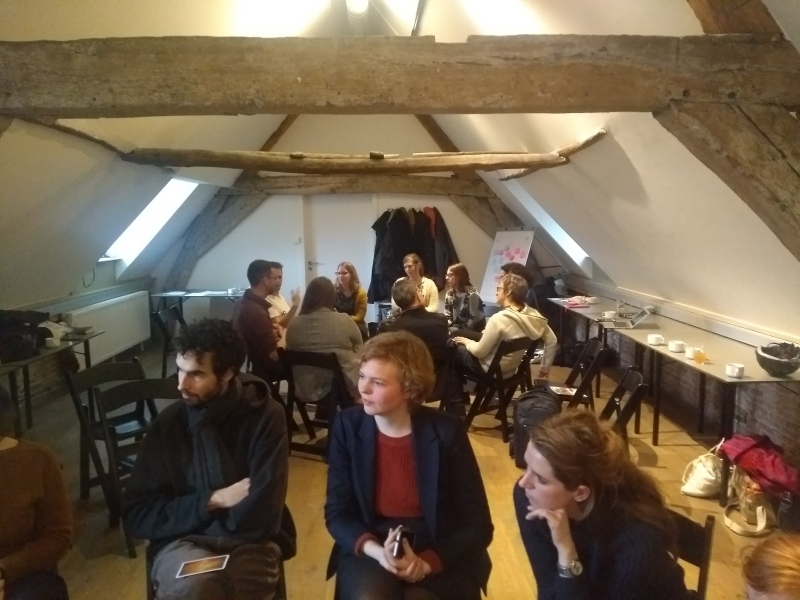 On February 2nd 2018, Maks vzw organized a multiplier event for the BRIGHTS Project.The venue of the event was Citizenne in the beautiful centre of Brussels, Baksteenkaai 74. 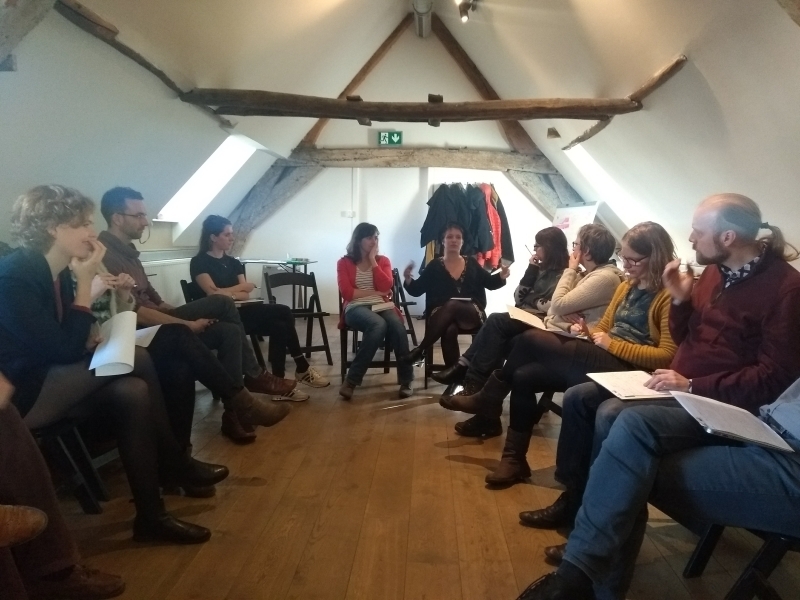 Citizenne is a non-profit organisation that wants to make learning fun by organizing workshops, excursions, debates and encounters between people in Brussels with different backgrounds. The target groups for the multiplier event were teachers, youth workers and trainers from formal, non-formal and informal educational field. 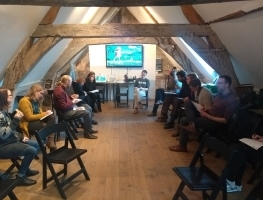 The core of the event was to present the BRIGHTS project, the MOOC and the F2F workshop that will be organized by Maks vzw after the completion of the online course, and Digital Storytelling. Around 20 people took part in the event. 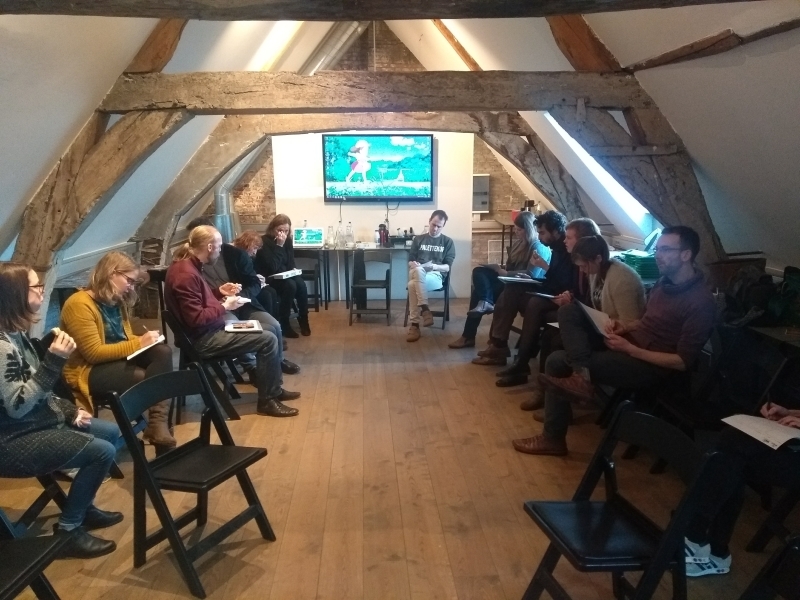 During the event Jasper Pollet and Bakhta Benzaza, Multimedia animators at Maks vzw, introduced teachers, youth workers and other enthusiasts to the step-by-step program on how to create a Digital Story and coached them to facilitate this training to their target group. 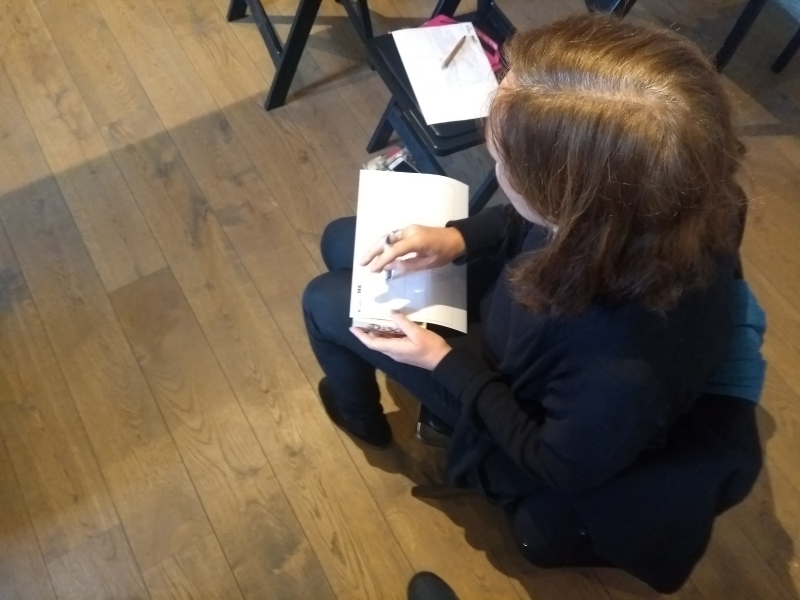 This event started with a small theoretic session on how Digital Storytelling evolved through the years and what the pedagogical and therapeutic background is of the method. But as the focus is on a non-formal way of learning we kept this part short and dove in the method itself as fast as possible, because the best way to learn what Digital Storytelling really is, is to create one yourself. After some warm-up games with the beautiful illustrated cards of the storytelling board game Dixit we started to discuss the Global Citizen Education topics covered in the BRIGHTS Mooc. From these we picked a topic, started writing our own stories around it and shared them in story circles. In these story circles we took the necessary time to share, reflect and discuss the personal stories that everyone brought to the table. Once all stories were shared we quickly dove into the topic of which images and sound they could use and where the participants could find it in a legal way through “Creative Commons” content. With their story, images and sound ready they could now start editing with iMovie to produce their own digital story.